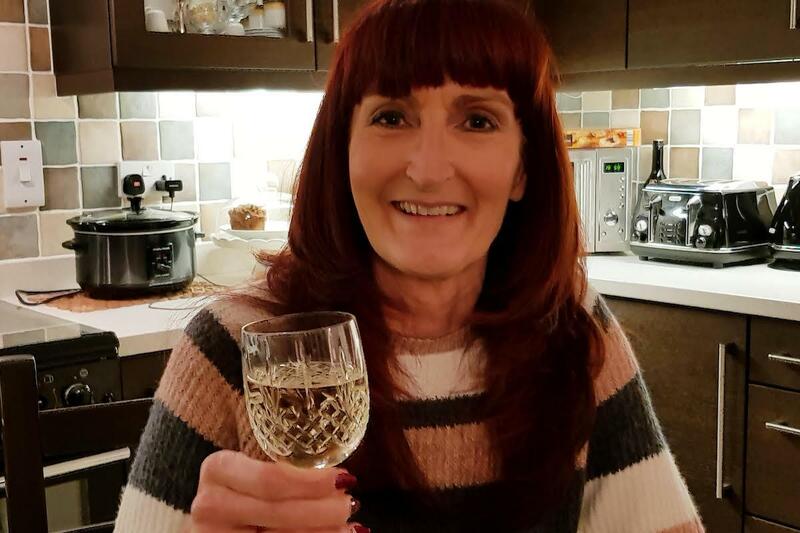 Home » Donation Gallery » Fiona Pirilla had a Dry January raising funds for MDS UK! "Most of you know I have had MDS since 1999 and I'm thankful for the drug treatments that keep me relatively fit and healthy. Myelodysplatic Syndrome is a very rare group of blood cancers and if it wasn't for drug treatments I would be on continuous blood transfusions. At some point in the future I may require a bone marrow transplant but I try not to think about that too much and hope for continuous advancements in drug treatments. I've decided to go sober for January and donate any money raised to the MDS Patient Support Group which is a fabulous charity helping people through their journey with this bone marrow/blood cancer. I'm amazed at the amount of donations I've had. £705.09 is so far the total and more than £800 with Gift Aid. I didn't take a photo of me with a n8n alcoholic drink but I have attached a photo of tonight - my first alcoholic drink!!" You can still donate on Fiona's Virgin Money Giving Page donations will be very gratefully received!! Fiona was diagnosed in her early 30’s with a type of MDS called del(5q). She had only just begun blood transfusions when she was offered the opportunity to participate in a Lenalidomide drug trial between 2006-2007. Her blood counts and quality of life vastly improved. Once the trial had finished unfortunately she was denied the drug for a period of time because of the fact that it was not licensed and funded. Her story was used in the NICE appraisal for lenalidomide, which Fiona took part in, to demonstrate to the committee what crucial difference the drug made to her quality of life. The drug Lenalidomide is now used routinely for isolated del(5q) patients.